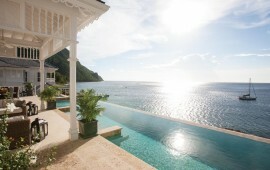 If you’re trying to decide exactly where your dream honeymoon should be, check out our all-inclusive honeymoon deals and of course, make sure you also check out our St. Lucia honeymoon vacation packages, so you can find out for yourself why this honeymoon hotspot only gets more popular year after year. Once you’ve browsed through our luxury all-inclusive honeymoon packages, call our office and one of our consultants will be only too happy to do all the legwork for you. Because we know that you’ve had enough details to take care of lately to last you a lifetime!